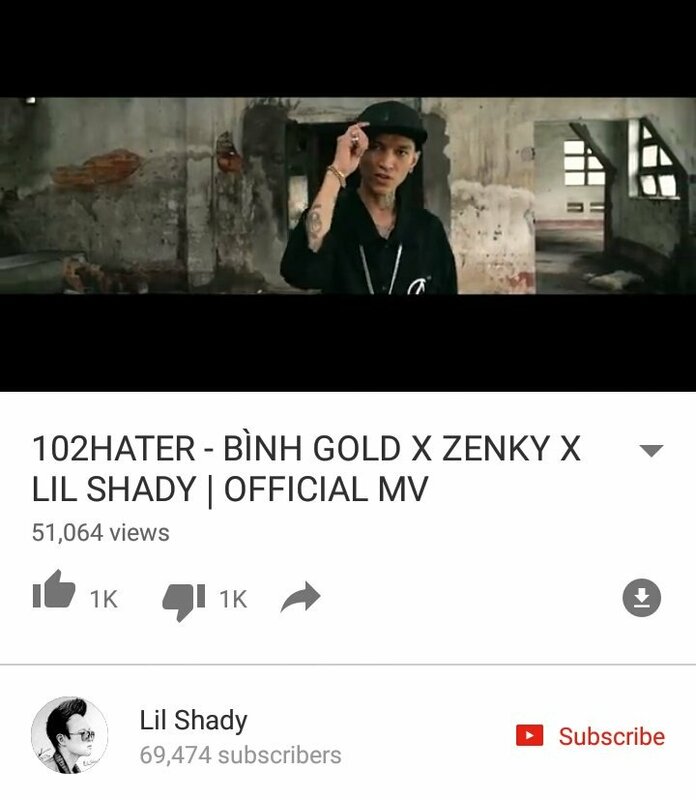 A Vietnamese rapper Lil Shady released an MV on 04 January for a song that bears uncanny resemblance (instrumental and beat) to Hanbin’s SMTM3 song “BE I”, the first song ever from the show to reach number one on the music charts in Korea. Since then the rapper has faced criticism for plagiarism as reported by Vietnamese media and the controversial song and MV have been removed and uploaded many times from various accounts seemingly belonging to said rapper both on YouTube and Facebook. Annoyed by being constantly called out and reported for plagiarism the rapper stooped to fighting with the fans. However he has not issued an official statement yet. It appears that Lil Shady is more than little shady. This is not the first time iKON’s music had been plagiarized or used without giving credit and YGE is notorious for seemingly not taking any steps in such cases. Previously a Chinese singer used Rhythm Ta instrumental without crediting the source. A group on Chinese reality TV music competition basically copied Climax (a legendary iKON/Team B pre debut song) without crediting the original in any way. It was not only instrumentals that were not credited but arrangements of known songs done by iKON members during Mix and Match TV show; arrangement of Disney song Let it go done by Hanbin’s team was used by Chinese group for TV performance without crediting Hanbin, same thing happened to Bobby’s team arrangement of Black Eyed Peas song Let’s get it started that was used without arrangement credits on Korean TV show Kpop Star. Next Next post: iKON releases teaser film for second full album ‘RETURN’.